The Telecom Regulatory Authority of India (Trai) now released its report on Independent Drive Tests conducted in four cities- Indore, Bhubaneswar, Nagpur and Mysore. Trai conducted these tests between October 9, 2017, to December 30, 2017. And guess what, Bharti Airtel has achieved an average 4G download speed of 8.125 Mbps during the independent tests. On the other hand, Reliance Jio, the LTE-only network averaged 5.35 Mbps only. Idea Cellular averaged 6.25 Mbps during the same drive test and achieved the second place on the list. Vodafone averaged 6.5 Mbps in three cities, excluding Indore. Also, in the upload speeds department, Jio is way short of Airtel and Idea Cellular as it achieved just 2.5 Mbps average upload speed in the tests. Idea Cellular, as always leads the upload speeds department with a decent 6.4 Mbps average speed, followed by Bharti Airtel with 5.7 Mbps average upload speed. In Indore, Trai covered a route of approximately 600 km and data tests conducted on five hotspots and coming to Nagpur, the regulator covered a route of approximately 630 km with data tests being conducted on ten hotspots. Coming to Mysore, the total area was 320 KMs and data tests conducted on ten hotspots, followed by Bhubaneshwar in Orissa with 624 km area coverage. Bharti Airtel has been emerging as the winner in these Trai’s Independent Drive tests conducted across various top cities. Recently, we reported that Airtel had achieved an average download speed of 9.64 Mbps in Drive Tests conducted across ten cities Bhiwani in Haryana, Kanpur in UP East, Kota in Rajasthan, Patna & Ranchi in Bihar, and Raipur in MP License Service area. Also, speed test service Ookla rated Airtel as India’s fastest network service provider for the third consecutive time. 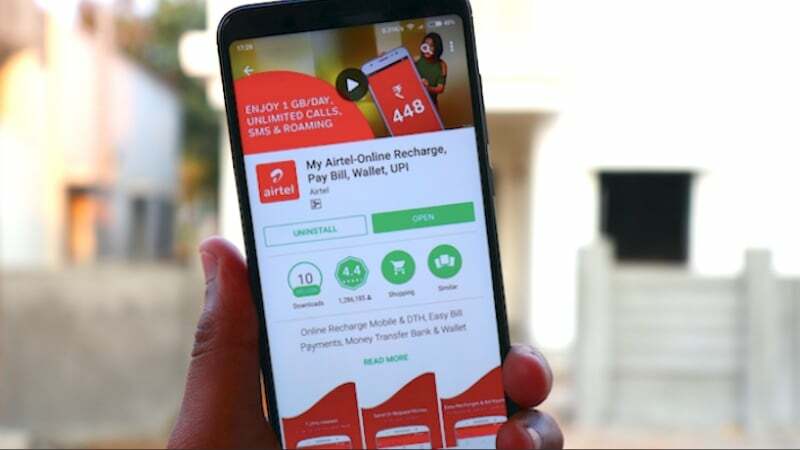 On the occasion of the same, Airtel took a dig at incumbent telecom operators by rolling out a new television commercial advertisement asking users to try out all the networks and choose the best one of all. While Airtel is topping all the speed test reports on a regular basis, Reliance Jio is piling on new users every month and is marching towards the 200 million subscriber mark. Still de fill proud to show add on TV for best network. Trai should fine airtel…. Good old days memory…!!! COAI never stood with Idea of development and services.